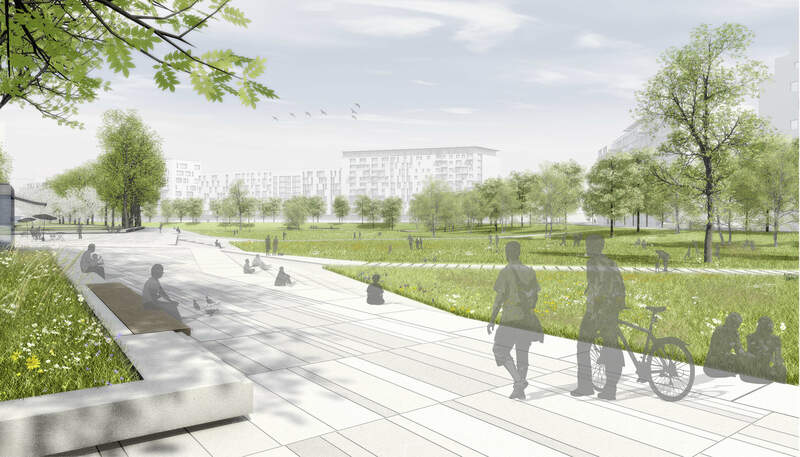 The urban design concept for the district around the main train station provides for an extended park which is bordered on both sides by highrise buildings. 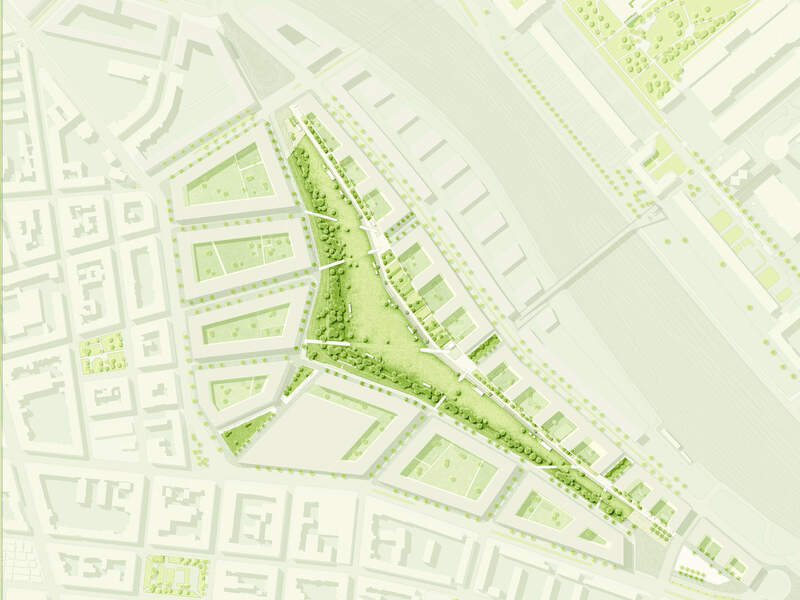 The shape of the park is evocative of the ladder tracks of the former station and is to be preserved as a grossform. 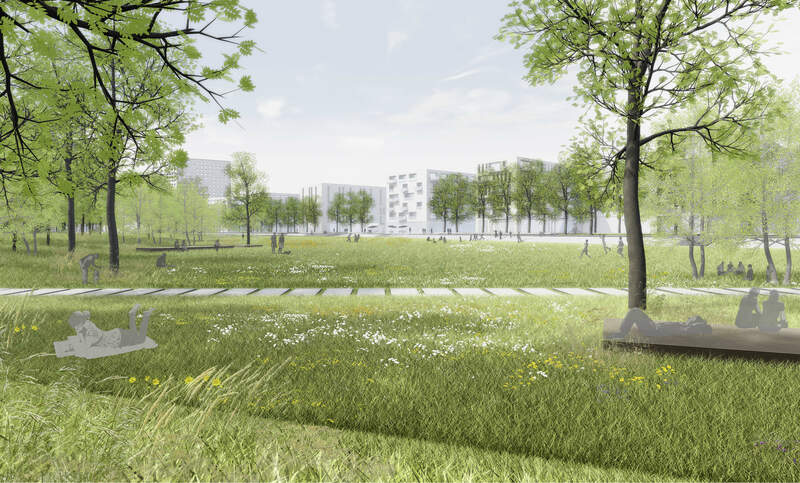 Emphasizing its linearity, the park is composed of an urban and near-natural area, shaped by grasses - the ‘esplanade’ and the ‘green harp’. They differ in their distinctive atmospheres and profiling. 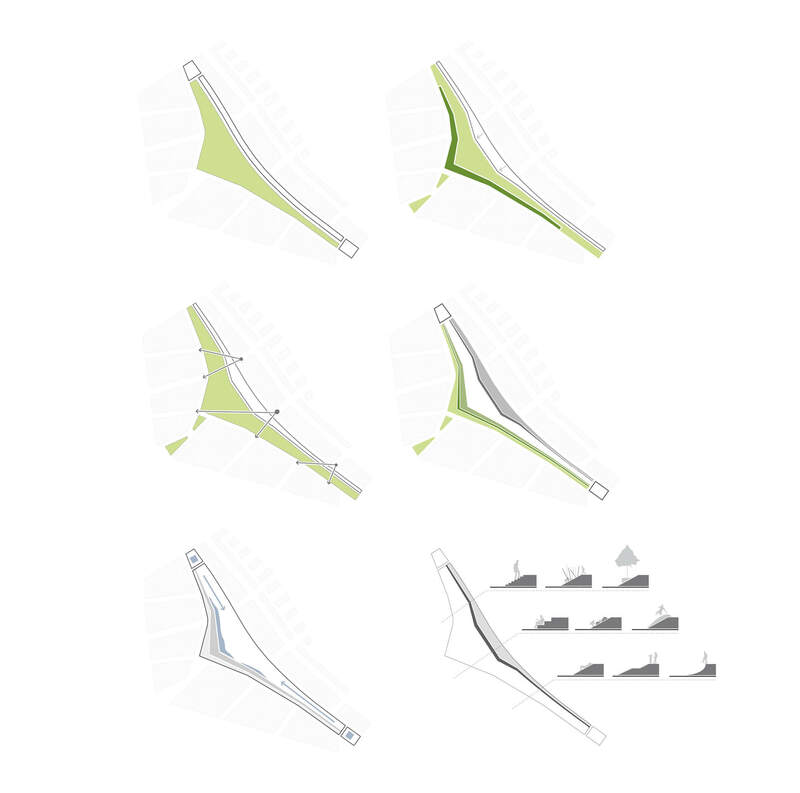 In the interplay of profiling and tree placement, they form divergent subspaces. 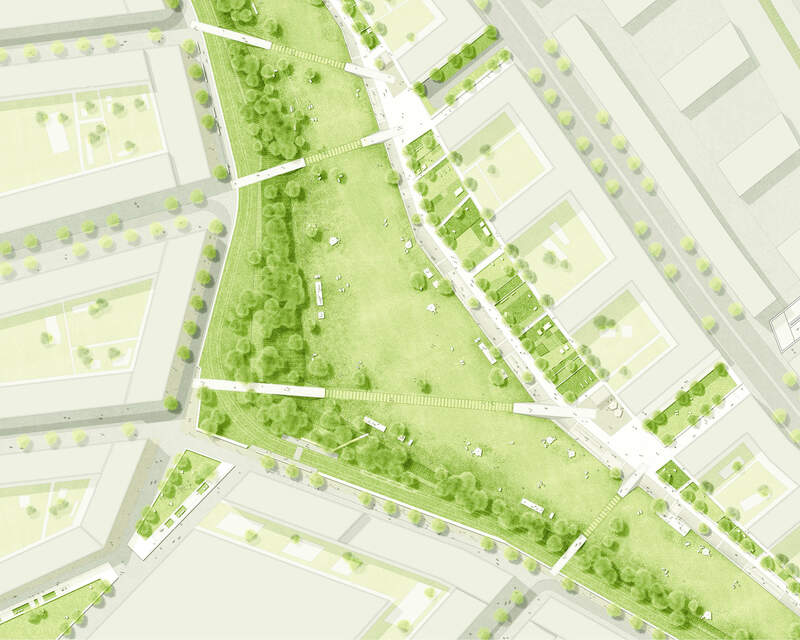 As a generous open space, the park is in contrast to the adjoining small-scale urban areas. At the same time, it can be experienced as a sequence of various subspaces. Two squares constitute the opening and the endpoint of the park. In continuation of the adjacent street spaces, the park is crossed by bridges or ramps. All the areas can be accessed without barriers via the implemented ramps.